Bottas was pretty much on Hamilton’s pace this weekend and obviously got pole. Hamilton is probably the best driver out there, but I think Bottas can push him, he’s definitely stepped up for the start of the year. As for Vettel, it’s hard to say. 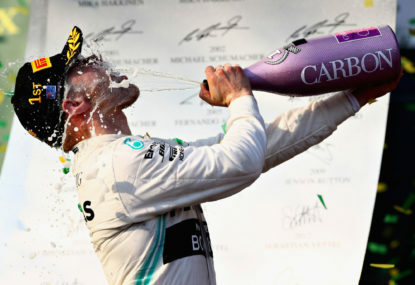 Had he been in the dominant Mercedes of 2014–16, you’d probably say he’d have beaten Rosberg, but then his mistakes under pressure in the last two years have been disappointing — who’s to say he Rosberg wouldn’t have cracked him in what were seasons-long one-on-one battles? I think this is an important year for Vettel’s reputation in that regard; he still has things to prove. Yep, it definitely cost both cars time and gave Verstappen a sniff. It’s understandable given it looked like Vettel was quicker, but there’s no denying the cost. Verstappen getting fourth was more a function of everything that happened after the first pit stop, though. 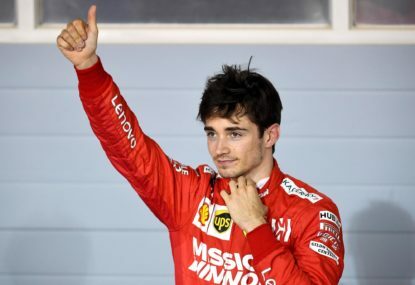 Leclerc could’ve recovered the position had he been given a regular strategy rather than used exclusively to cover Vettel. The first call in Vettel’s favour was understandable. It’s not uncommon for teams to switch drivers when the following car appears faster, and Ferrari’s hand was subsequently forced when Red Bull Racing smelt weakness and exploited it. I don’t see how this constitutes Leclerc fanaticism, but I’m happy you’re excited anyway. That’s a great comparison, I reckon. 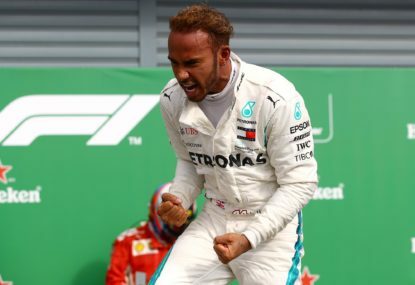 Vettel has loads of ability, but he seems to be missing one or two percent compared to the likes of Hamilton when it comes to landing the knockout blow. The dynamic inside Ferrari will be fascinating this season. That wouldn’t explain the qualifying gap, though, and it also wouldn’t explain why Charles Leclerc was able to lap much quicker than Sebastian Vettel towards the end of the race with newer tyres. It still might be principally power unit-related, but I don’t think it was just fuel usage. I’m loving this all-new Bottas! It feels like he’s developed a real killer instinct that has perhaps been missing in recent years. 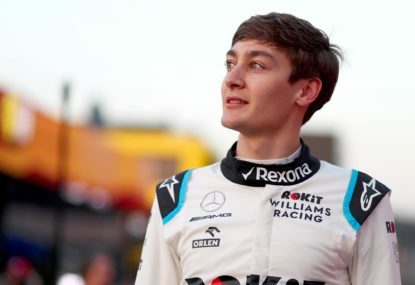 Is it the threat of Esteban Ocon in his garage that’s activated him? It’s hard to say, but I very much hope we see him contending all season long. 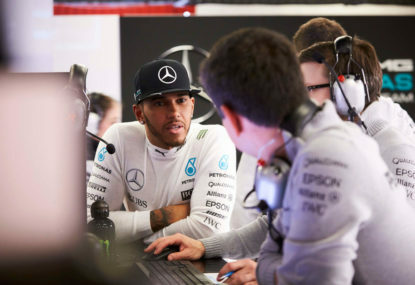 It won’t be so easy in future races, though — Hamilton had some car damage that will have accounted for some of that difference, so the next challenge is to withstand what will be a mighty fightback from the reigning champion. Ferrari is a real mystery. I was a bit disappointed Leclerc didn’t have a crack at Vettel before asking permission, but I suppose he’s playing the political long game and keeping everyone onside until he’s fully comfortable. It’d be good if the team can get its act together soon enough to give him a shot at the title. The midfield looks fantastically close — way too close to call right now! Haas looks like it’s having a quick start, similar to last year. The rest of the teams left a bit on the table through error and strategy, so we’ll see how it shakes out in the next few weekends. There’s definitely still a long way to go, but it’s far from the start Renault needs. 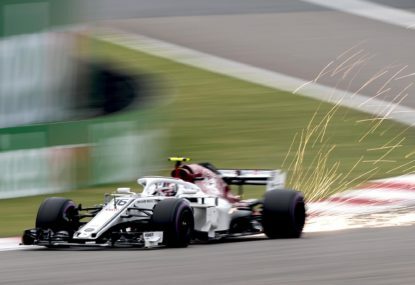 The team is aiming to be a step beyond the midfield and close enough to the top three to pick off an occasional podium this season; buried in the grid after qualifying and finishing behind Haas means they’ve essentially made no progress. That said, Haas has always been competitive at Albert Park, which itself is a bit of a weird circuit. I think a fair few teams and drivers will have felt they didn’t execute a perfect weekend, so we’ll wait and see what the field looks like once the European season rolls around. 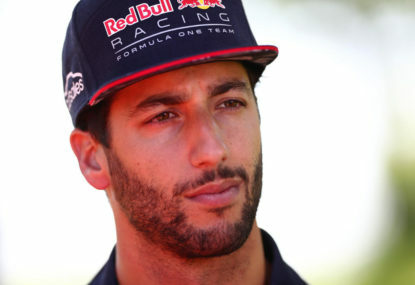 As for Ricciardo, this is absolutely a risk. Hopefully it comes good for him, or good enough that his stock remains high if he has to abandon ship somewhere down the line. Assuming he beats Hulkenberg, of course! For sure there are lots of different ways to cut the data. Absolutely Red Bull Racing’s time is not representative — I think I said as much — but if you correct RBR’s best lap for tyres, you’d have to do the same for everyone else. Gary Anderson did something like this during the week, albeit with his own tyre data, and ended up with similar gaps anyway. Rendering power unit mileage on a per-car basis has its merits, but I’ve left the data raw so you can make of it what you will. 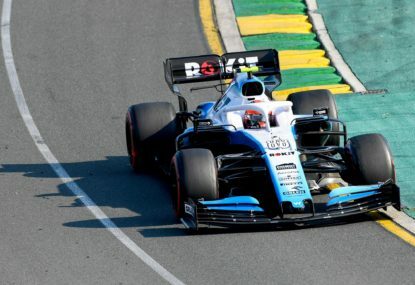 An averaged value would give you a better indication of general reliability — although you’d have to reflect William’s late start — but running the numbers as they are gives you an indication of how much data the respective engine manufacturers collected during the preseason, so it’s not an entirely useless number. But that’s preseason in a nutshell, I guess — there are no definitive answers! The midfield looks great, and the prospect of them being slightly closer to the front might make any mistakes from the top three slightly more costly — though I won’t hold my breath! The quality of the drivers fighting for minor glory is too high not to provide some good action among themselves though. Absolutely right — Vettel’s lost points could’ve won both him and Ferrari the title last year, not including the points lost when Ferrari took that bad development turn between Singapore and the USA. The Leclerc vs Vettel fight should be epic. Yeah, I reckon you’re right. The most Renault can hope for is to sit in that empty space between the top three and the midfield and pick off some opportunistic podiums. Maybe by the end of the year that outlook will improve a little, but I suspect that’s what we’ll see. I reckon you might get a call from Williams asking after your bike with lap times like that! Again, I don’t disagree that F1 needs to be less reliant on manufacturers. 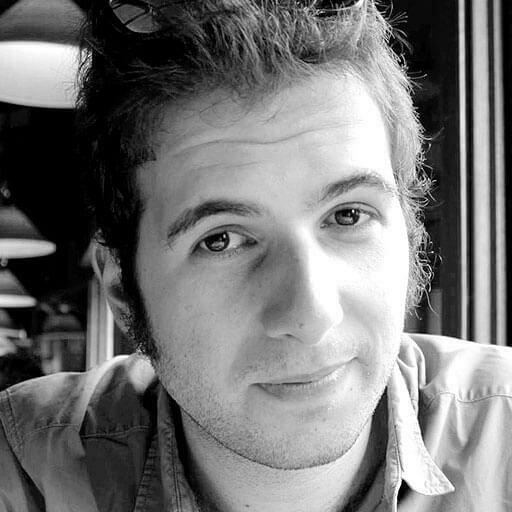 That said, if the sport were more financially sustainable — the hundreds of millions spent to win is a turn-off for most — and if it better sold its technology message, it could maintain its appeal even when faced with a growing Formula E. There is no reason to think they can’t coexist. Yes, customer engines and gearboxes have just about always been the case. I said “greater degree”. Modern F1, for example, requires teams to own their chassis and aero. Manufacturers have always been part of Formula One. They’ve come and gone, sure — and I agree reliance on them is dangerous — but F1 remains a massive motorsport marketing platform. 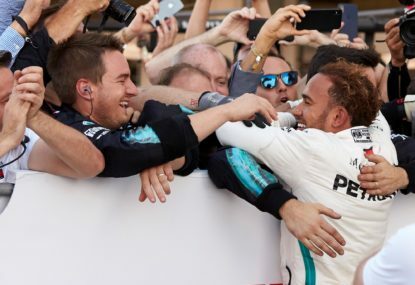 Mercedes is involved in F1 and Formula E for this reason. Win on Sunday, sell on Monday is not a new phrase. 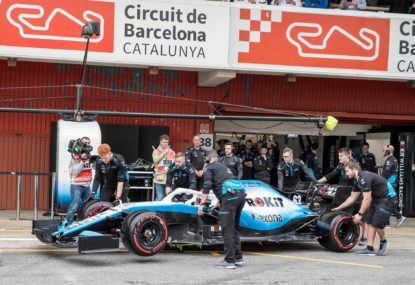 It’s a good call that F1 needs to understand that the independent teams are the ones it needs to look after most to ensure its long-term existence because they’re the ones that will stick around no matter what. Williams, for example, is principally an F1 team. But is the answer to that standardising more parts, like engines and chassis? I don’t think so. F1 will likely always be defined by a greater degree of individuality than other open-wheel series, because that’s what makes it different. 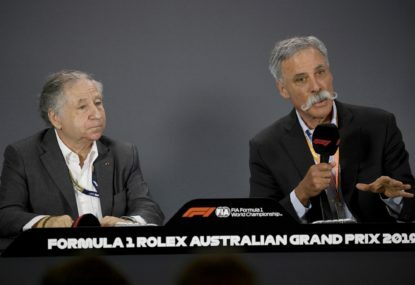 There are of course some concessions to help smaller teams — the engine manufacturers are already bound to supply any team that isn’t able to strike a deal on their own, and the cost of an engine supply has been reduced after an agreement between the teams and the FIA. More needs to be done to keep them viable, and FOM is working towards it, but they also want to keep the larger manufacturers happy because they undoubtedly add spectacle to the show. It’s a difficult balancing act. Hopefully he surprises in a good way! Thanks for the comment, mate. Dominant with one victory, no pole positions and no fastest laps in the final 10 rounds of the season? And let’s not forget that one win came in Mexico City, where the altitude prevents the Ferrari and Mercedes engines from accessing their peak power modes and where Mercedes suffered from diabolical tyre wear. I will pay that it is easy to misread Honda’s progress, though. Clearly McLaren’s problems over the past two seasons have been largely down to chassis, so the power unit may have made minimal progress between 2017 and 2018 but for being in a better car. Clear, however, is that progress was made this year — RBR wouldn’t have taken the gamble on Honda power if it didn’t think it had a chance of paying off. 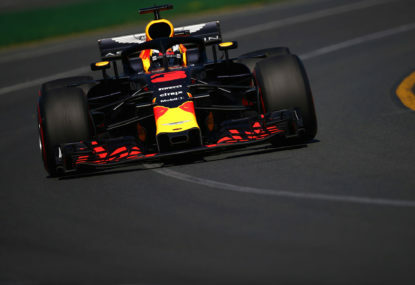 Finally, if RBR isn’t 1.5 seconds ahead of Renault, where it is relative to Mercedes and Ferrari is what will decide whether the team has moved backwards; just because the gap is huge doesn’t mean no progress at all can be made. 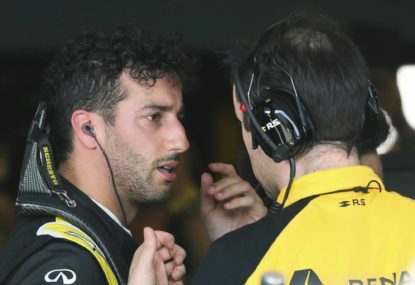 Ricciardo bids farewell to Red Bull Racing, but what's next? Certainly there’s no guarantee he’ll beat Hulkenberg, you’re right. You’d expect him to, but Nico has proven that he rises to the challenge of having a competitive teammate. Absolutely this is his chance to suggest again that he belongs to that top tier of drivers if he can beat Daniel. It’ll be another great battle to watch in what should be a fascinating season of teammate rivalries. It all depends on Renault, I think — and he’ll be gambling too that RBR won’t make enough progress to challenge for the title before he will. But you’re right — winning the title is as much about being in the right place in the wrong time as it is anything else. Just ask Fernando. Hulkenberg scored 0.074 points per completed lap, easily higher than anyone else in the midfield including Alonso, who was next-best with 0.054 points per lap. 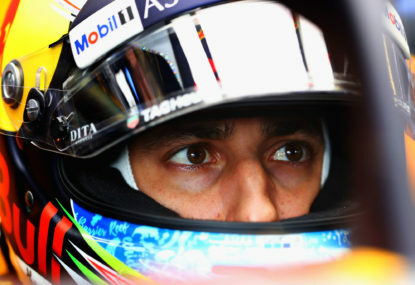 He also scored 4.929 points per race he finished, more than Alonso’s 3.333. Qualifying results aside — and the Renault power unit is the biggest disadvantage here anyway — I can’t think of a measure on which Hulkenberg wasn’t the midfield’s most accomplished driver this season. A combination of all of those things are behind Sauber’s improved performance, plus more stable leadership and improved cash flow, which always helps. 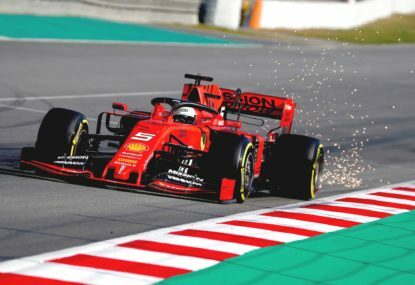 Its Ferrari relationship is really starting to pay dividends too, and I think Raikkonen returning to the team is evidence that it’s on a good path rather thank fluking it. I’d take RBR’s words with a few grains of salt! 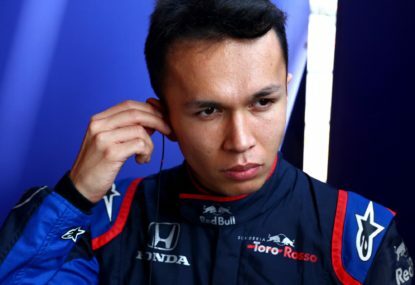 There’s no doubt Honda’s improved immensely without McLaren, but they’ve also had plenty of failures this season, and they’re far from all being strategic engine changes, despite what Toro Rosso is trying to say. Still, devlopment will be faster with two teams, and I think they’ve done enough this year to warrant some faith they’ll come good sooner rather than later. I’ll cop that! I doubted Hulkenberg, but he really raised his game this year, which’ll be good preparation for being Ricciardo’s teammate next season. Sainz, on the other hand, has some restoration work to do on his reputation and is at real risk of disappearing at the back of the field if McLaren ends up nowhere over the next few seasons. Wouldn’t that be something! And neither Verstappen nor Gasly gets along with Ocon, so he could really ruffle some feathers at RBR. I suppose Mercedes is just used to winning! 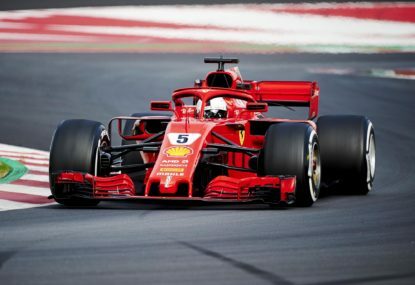 I think what we’ve seen this year from Ferrari is an almost complete but still obviously flawed team, and all those small imperfections together have applied massive internal pressure. Mercedes has become substantially better at dealing with this sort of pressure — but then I suppose it was able to do a lot of its learning when it had a massive car advantage in 2014–16. To be fair to Mercedes, the team went out of its way for most of the season to demonstrate that it had no designated first or second driver. 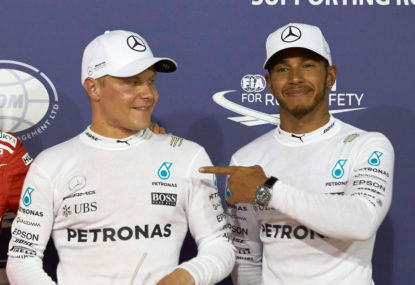 If Bottas had been equal or thereabouts on points with Hamilton, Lewis wouldn’t have gotten the preferential treatment he received late in the season. Was that always the goal with Bottas? Hard to say — the real test will be how Mercedes manages a transition to its next generation of drivers.